Cœur fidèle tells a familiar story of a love triangle that has tragic consequences, but it's the manner of the storytelling rather than the story being told that matters here. The joy of the film lies in watching Jean Epstein direct with a boundless verve and imagination, finding beautiful ways to express his characters' emotional states through his adventurous camerawork, lively cutting and often devastating close-ups. It is reminiscent of Murnau's Sunrise in the way it explores the romantic tribulations of its protagonists through an extraordinarily vivid mise-en-scène, with Epstein finding fresh angles and telling compositions to draw us into his tale. It is one of the wonders of the silent era. The film takes place near the docks of Marseille, which provide an atmospheric backdrop to the drama. Marie (Gina Manès) was an orphan who has been raised by the owners of a local bar, but her upbringing was harsh and now she is exploited by them as a waitress. She also has to fend off the unwanted attentions of Petit Paul (Edmond van Daële), a local thug, who has designs on Marie. Our first sight of him is a point-of-view shot as Marie watches him through a window, shrinking back from him has he strides into the bar. 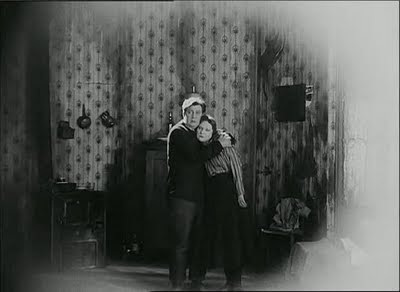 Marie's heart lies elsewhere, with Jean (Léon Mathot), a dockworker, and their scenes together have a dreamlike, romantic feel. Cœur fidèle has a superb ability to switch tones in a swift, sometimes surprising fashion, and there's an edge of menace present when Jean confronts Petit Paul. Epstein builds the tension through a series of rapidly edited close-up shots – faces, fists, a bottle, a hand reaching into a pocket – as Jean is surrounded by Paul's cohorts and forced to back down. One of the faces Epstein cuts to in that sequence is that of Marie, her features frozen in fear as she watches the man she loves walk into danger. Manès had an extraordinary face and Epstein never misses an opportunity to focus on it and examine the depths of those remarkable eyes. The director frequently cuts to her as she gazes off into the distance, her expression reminding us that her heart is many miles away with Jean while she is stuck on a fairground ride with Paul (the whole fairground sequence is a stunningly sustained set-piece). Epstein truly understood the power of the human face to convey thoughts and emotions wordlessly to the viewer, and his work here often recalls that of Dreyer in its intensity. 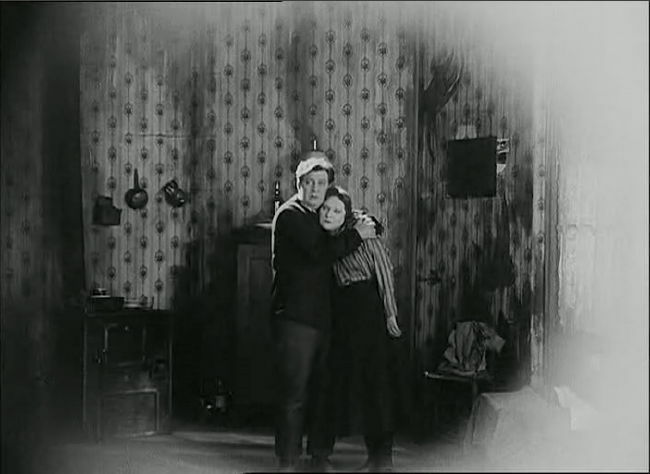 Cœur fidèle is an intoxicating blend of the realistic and the lyrical, as Epstein imbues his dark melodrama with stunning visual effects. He lets Marie's face play across the ripples of the ocean as Jean remembers her, or distorts it to show the effect of drunkenness. He also allows the emotions of the story to dictate the film's rhythm – languid at times, breathlessly energetic at others – as Maxence Cyrin's delicate piano score keeps time with the movie's fluctuating tone, finding the perfect melancholy note for the film's most tragic sequences. Cœur fidèle both dazzles the eye and pierces the heart. It is a film to cherish – as the writing on the barroom wall suggests – "for ever." The only extra on the disc is a gallery of photographs taken in 1923, but the Masters of Cinema discs have become famous for the substantial booklets they provide with each release, and this one is no exception. 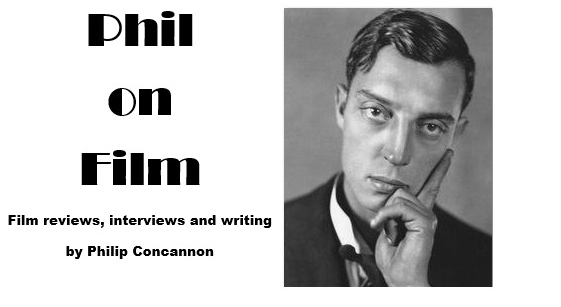 The 44-page supplement contains writing from Epstein himself and Henri Langlois, as well as fascinating tributes from Abel Gance and Jean Cocteau. The best thing about this blu-ray release is simply the stunning image of the film, though. It is almost inconceivable that a nearly 90 year-old film could look this sharp and clear. It is a breathtaking restoration and one of the finest presentations of a silent film that I have ever seen.